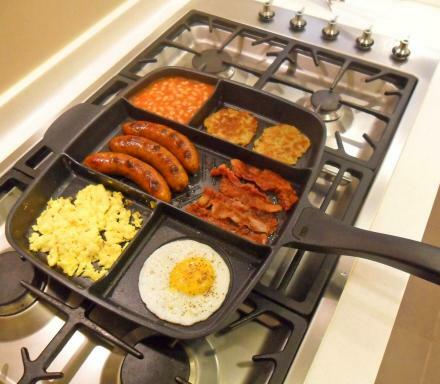 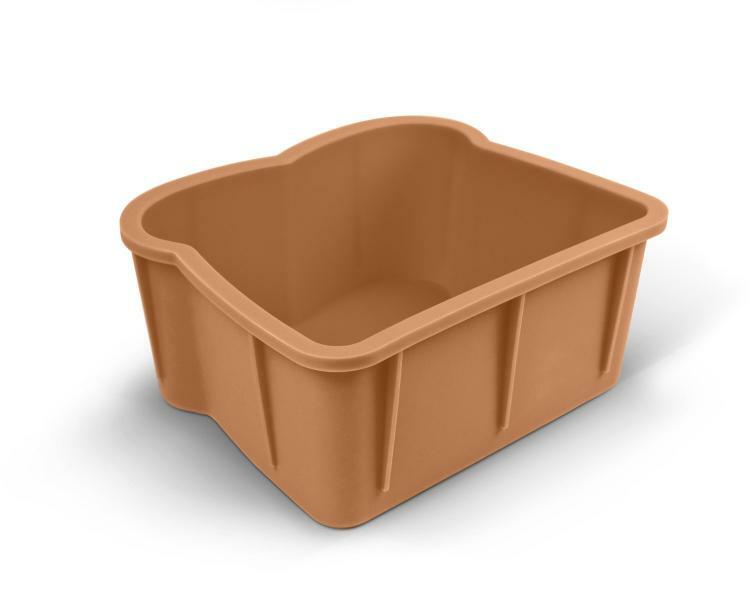 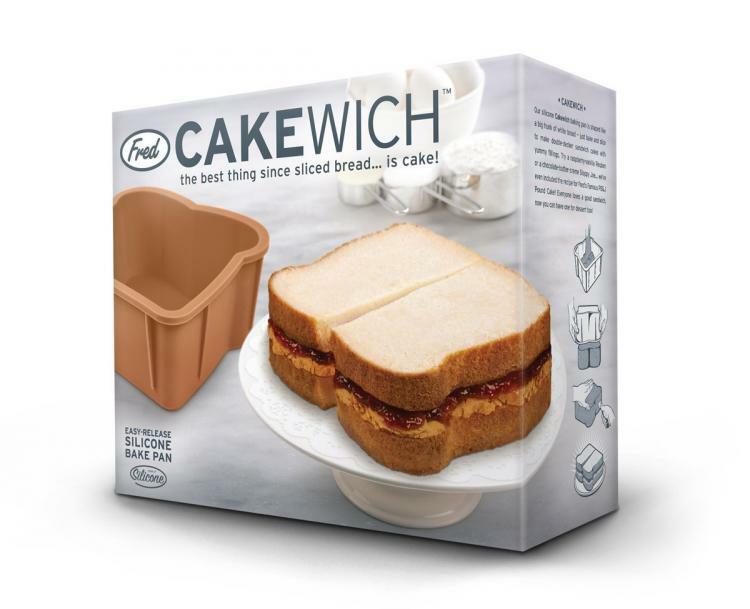 The Cakewich is a small cake pan that allows you to make mini cakes in the shape of bread, and is an incredibly fun and unique way to make cake. 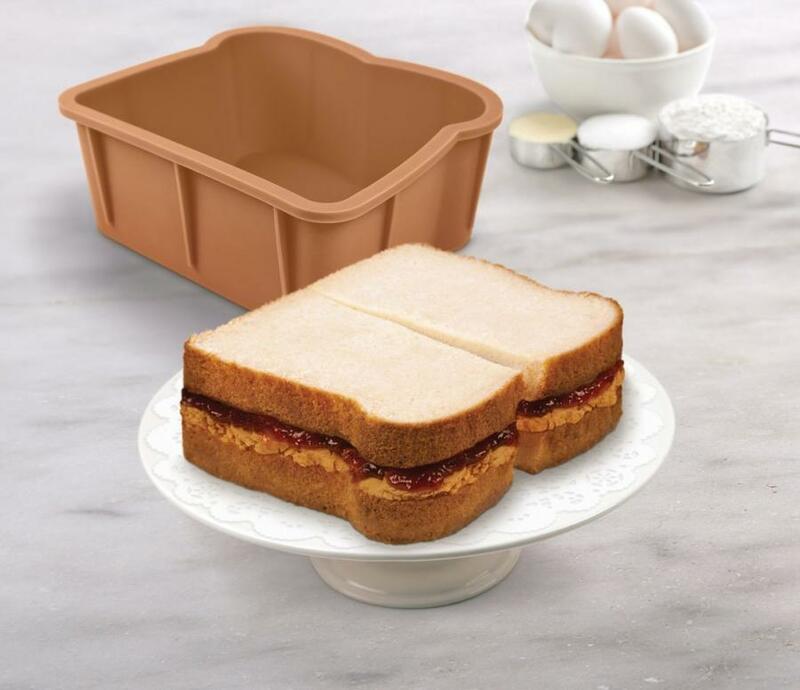 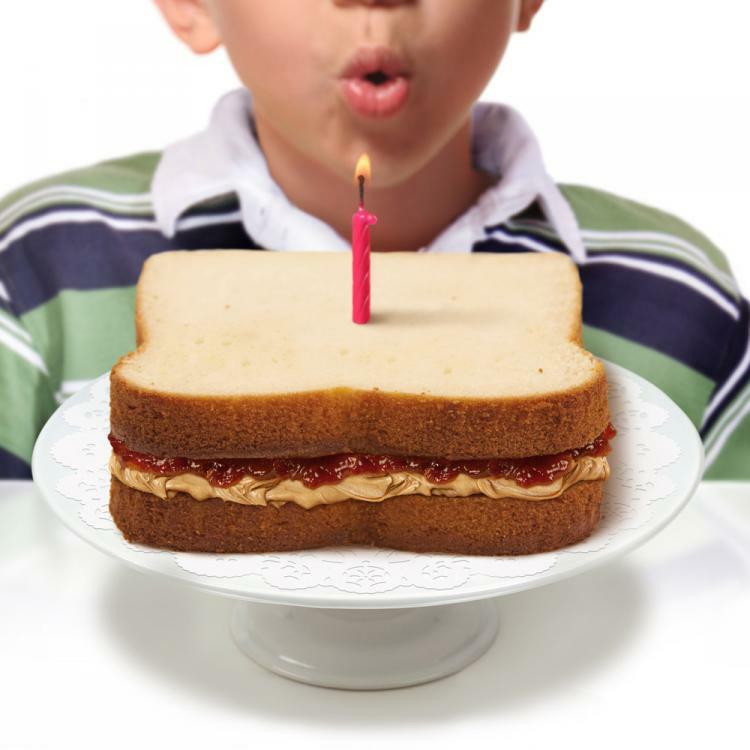 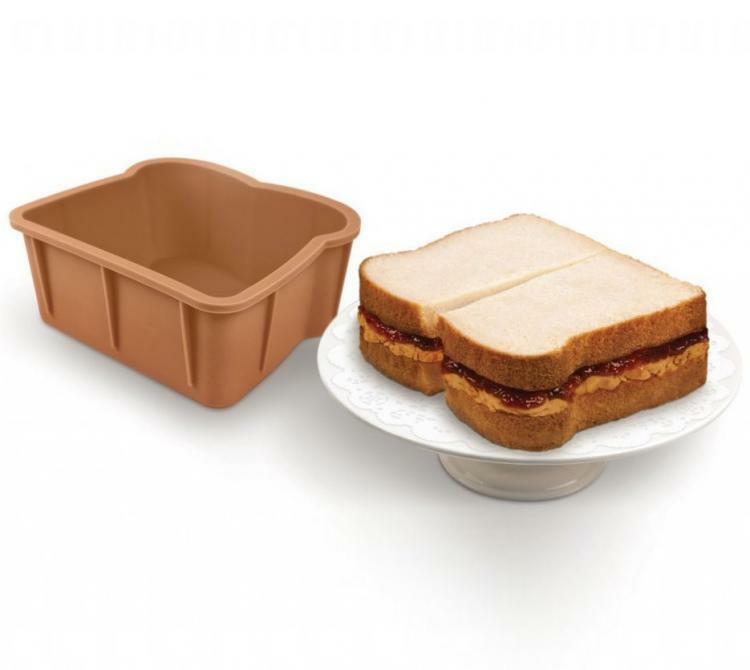 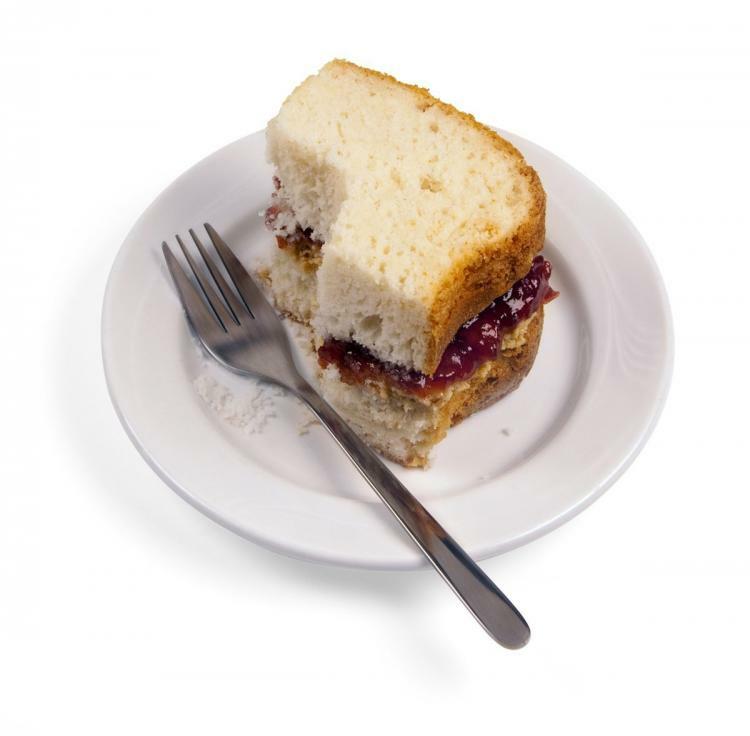 A perfect birthday cake for that child that just loves sandwiches more than anything in the world, the Cakewich cake mold allows you to pretend like your child is just getting a peanut butter and jelly sandwich for their birthday cake with a candle in it, but in reality, the bread is cake. 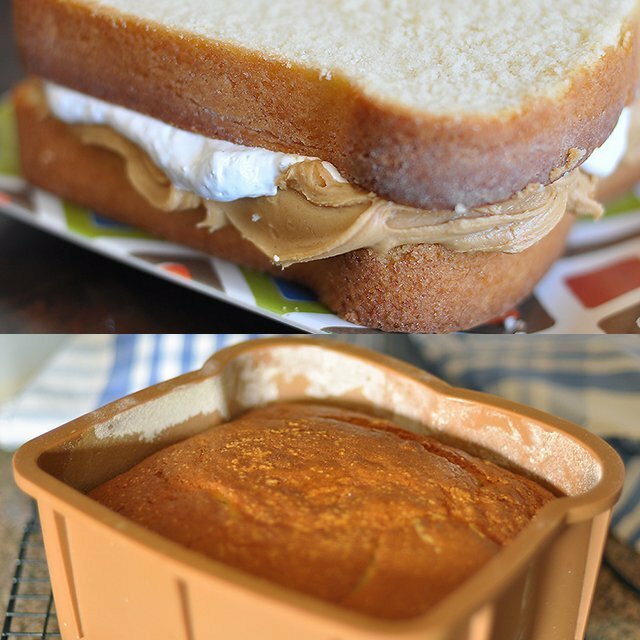 How it works is you bake the cake in the bread mold pan, take it out and slice a top sliver off of the cake so that the top crust is gone so it looks like an actual piece of bread, and then instead of putting actual peanut butter and jelly or sandwich ingredients inside of it you can put in cake toppings and/or fudge. 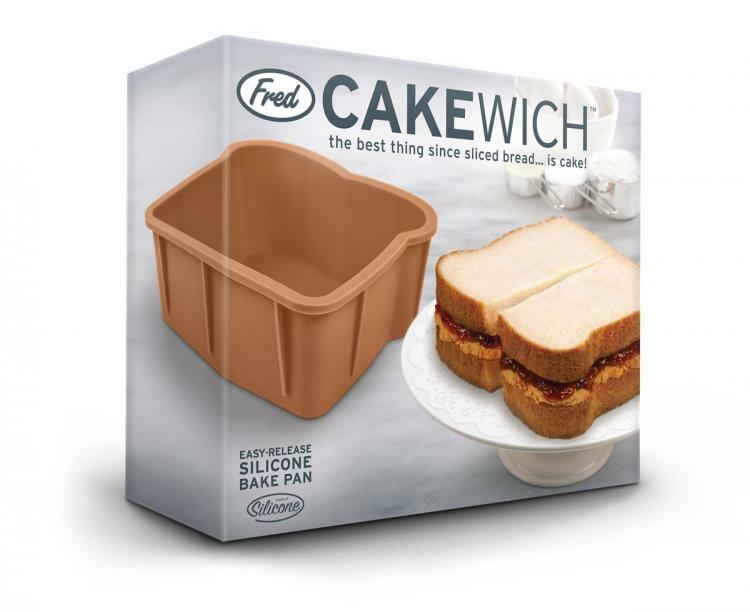 Designed by Fred and Friends, a unique product design company based out of Rhode Island, the Cakewich cake mold pan is made from super-strong oven safe pure silicone rubber, is refrigerator safe, freezer safe, and dishwasher safe, includes a few recipes to make your own sandwich cakes, and measures 3.5 inches wide x 8.25 inches tall x 6.75 inches deep.